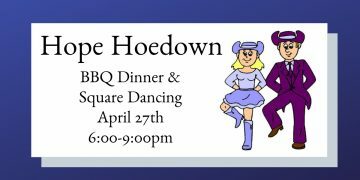 Spring Hoedown! 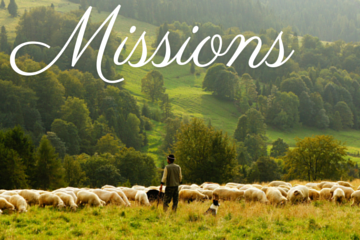 Bring your blankets and lawn chairs for an outdoor evening of food, fun, and fellowship. Barbecue dinner for all at 6:00pm; dancing for middle-school age and up from 7:00-9:00pm. The deadline to RSVP for childcare for 5th grade and younger is April 22nd.